Reinforcement steel is the material used for the purpose of construction. The tensile strength of steel is high and since the tensile strength of concrete is low steel is reinforced to bear load under tension. For the purpose of reinforcement, concrete is poured into a framework of steel and left to dry. It is cured regularly for a certain period of time so that it gains the maximum strength. Curing is a method of keeping the surface of concrete moist so that optimum water content is reached. Hot Rolled BarsIt is made in factories at high temperatures using long machines. It is one the most used reinforcement steel supplies used for the purpose of construction. It has a number of deformations on the surface which helps it bind well with the concrete. Mild Steel BarsThese bars are not as strong as hot rolled bars and have no dents or patterns over the surface. Due to the absence of ribs or patterns over the surface, hooks are required to help them bind with the concrete. These types of reinforcement steel supplies are used in projects where the cost is a concern as they are cheap. Prestressed BarsIn these bars, they are stressed and concrete is poured over them in this condition only. The concrete is then allowed to dry and the stress on the bars is removed. This method becomes beneficial in a number of cases and is adopted widely. Cold Worked SteelThese are a stage ahead of hot rolled bars. When a hot rolled bar receives cold working, cold worked steel is formed. These bars are twisted so to make ribs over the surface which helps with the binding. Now, we have a good deal of idea about the various types of steel reinforcements. Reinforcement steel supplies have a number of advantages and a few of them are given below. High StrengthSteel reinforcement increases both the tensile and compressive strength of the concrete and thus reduces the chances of failure of the structure. The coefficient of expansion of steel is similar to that of concrete and thus with a change in temperature, the structure is not affected. Cost EffectiveConcrete and steel mixed in the right proportion guarantee unmatched strength at low cost. This combination is cheaper than the other alternatives available in the market. It is used in almost all of the construction projects, both small and large ones. Speed of constructionThe speed of construction when working with reinforcement steel supplies and concrete is very much faster than other available alternatives. Precast concrete has gained popularity in the recent years. The concrete bars are made in a factory and transported to the site and assembled. This considerably reduces the time of construction. 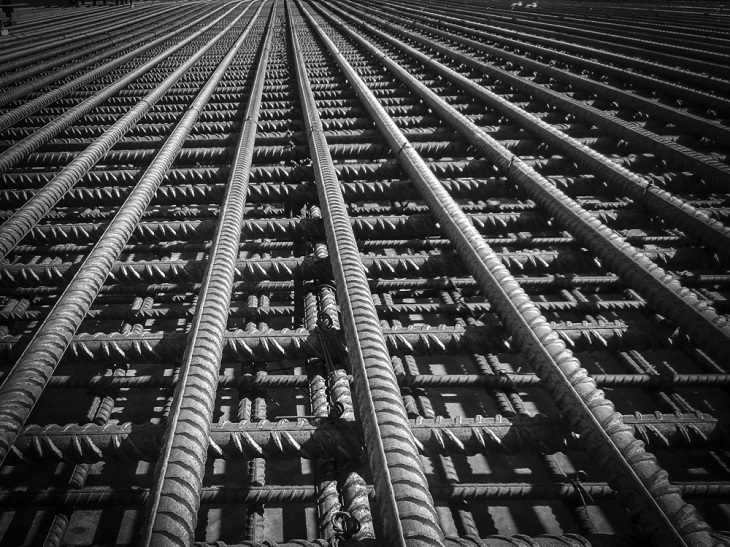 Reinforcement steel can be termed as one of the most important components of modern construction. Reinforcement steel supplies are somewhat a concern for the builders as they have to ensure a steady supply and thus need a trusted supplier. To get the best deal on reinforcement steel supplies, search the web or ask those in the business about reputed suppliers. If you are planning to build a house or any building, finding the right reinforcement steel supplies is necessary. So go ahead and find the best supplier in your city and get the construction done with the help of a builder.